Cupcakes are the new it party favor! 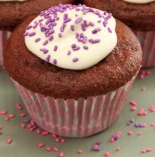 Visit our friend Charlotte at Creative Party Cupcakes for the best cupcake ideas on the web! These are just a few of the many ways you can use edible party favors for your event. The main decision you'll have to make is whether or not you want to order pre-made favors, or make your own at home. For budgeting, see Party Favor Ideas. Just as fun to make as they are to eat! Also plenty pre-made to choose from if you don't want to dirty up your kitchen. 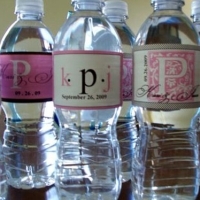 A fun way to offer your guests a cold beverage! Return from Edible Party Favors to Home.